Addiction doesn’t only harm the individual – it hurts the whole family. Addiction negatively impacts every individual who cares about the person abusing drugs or alcohol. Families are often the ones who suffer most. Because family support can be a critical component of recovery, Recovery Keys drug and alcohol rehab program offers Family Education and Support lead by a licensed Marriage and Family Therapist to help spouses, partners, parents and other key members of the patient’s support system understand the disease of addiction, and learn practical ways to support their loved one’s recovery. At the beginning of treatment, the patient’s identified support person(s) is contacted by our family therapist shortly after admission to help open communication lines and to provide them with a copy of our family handbook. Many individuals who are addicted to drugs also have co-occurring mental health disorders such as depression, anxiety, bipolar disorder, post-traumatic stress disorder or schizophrenia. Family Education also teaches family members about these conditions, and the importance of effectively managing co-occurring disorders to strengthen recovery. By understanding the ways in which addiction hijacks the brain and leads to self-destructive behaviors, family members can begin the own process of healing. Family members can suffer emotionally, psychologically and financially when someone they love is addicted to drugs and alcohol. Living with someone who is addicted to drugs or alcohol can be extraordinarily stressful. Erratic and self-destructive behavior fueled by the substance use can cause the home to be a place filled with tension, worry and fear rather than peace and safety. Addiction can cause financial issues, with those addicted spending money on drugs instead of paying their bills. If the addiction progresses for long enough and becomes severe enough, addicts may become unable to maintain a job. Families may be confused and anxious. They may also feel angry and resentful that their lives have also become consumed by dealing with the turmoil caused by the addiction. Families may also struggle with setting boundaries. They may be forced to wrestle with difficult, even heart-wrenching decisions, such as whether to continue to try to protect or even save their addicted loved one versus the need to protect their own mental health and personal safety. Families may feel forced into making decisions they never wanted to make. Many Recovery Keys patients have come to us because someone they love had finally had enough and insisted that they get help or they were no longer welcome in the home. That decision in and of itself can be exceedingly difficult for families. When their loved one has agreed to enter drug or alcohol rehab, many families express a profound sense of relief. But by this point, most families have already suffered significantly. Healing fractured relationships and their personal psychological trauma from seeing their loved one suffer with addiction doesn’t happen overnight. Through Family Education, we’re able to help families identify the resources to help them heal, and provide the support that families need to start their own recovery process. Drug addiction can cause serious and lasting emotional damage to children and make it more likely that they will eventually start using drugs and alcohol. Drug abuse clouds judgment and changes people’s personality. Addiction can lead parents to become withdrawn, unreliable and neglectful. It can also lead to verbal abuse and violence. Children need to be able to count of their parents. They need structures, rules and stability. At Recovery Keys, our Family Program addresses the consequences of addiction, provides tools and support to help parents struggling with addiction not only achieve lasting sobriety, but repair the damage to their families and create a happier future together. 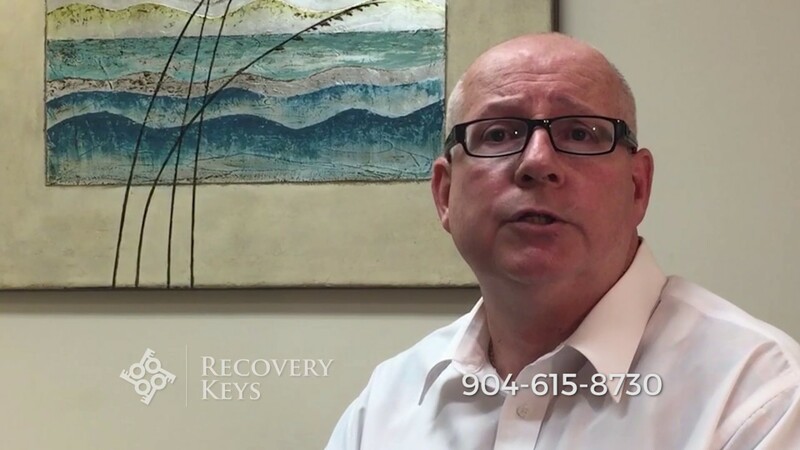 Recovery Keys is dedicated to helping those struggling with drugs, alcohol and pain medications as well as co-occurring disorders overcome their addictions and begin a life in recovery. This expert team of addiction evaluation, treatment and recovery specialists is standing by ready to help. Contact us now to schedule a confidential evaluation at one of our conveniently located St. Augustine or Jacksonville offices.